Pyramids in Egypt are considered to be one of the wonders of Earth. They are huge structures that were built thousands of years ago and still exist with their particular glory and elegance. These structures were built like a pyramid and they usually are resting places for Egyptian kings known as Pharaohs. 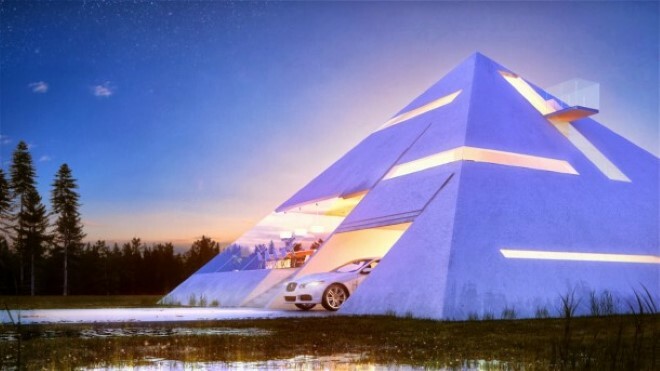 Now after this tid-bit about history of pyramids, let’s step back to modern times where an Architect, Juan Carlos Ramos, from Mexico has designed a wonderful home which is exactly like a pyramid. It would seem that Pharaoh’s fascination still continues and their heritage still does inspire people. This skillfully designed home sure looks luxurious and comfy at the same time. 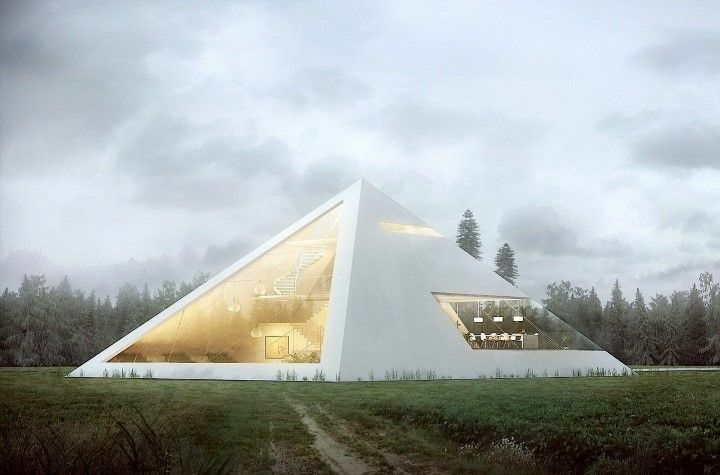 The house (or the Pyramid) comes with large windows and a small balcony. There’s an integrated garage for your vehicle as well although we are quite sure that this did not cross the minds of Egyptians when they were busy erecting these buildings. 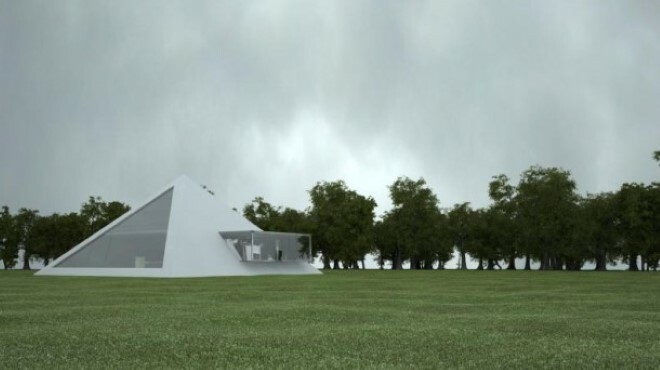 This wonderful Pyramid House is the result of a competition which deals with creative architecture. Our Mexican architect sure did a fine job here.